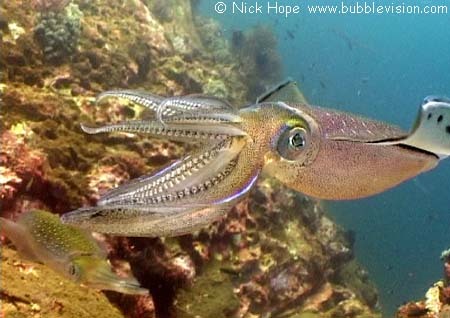 Although not as common as cuttlefish, bigfin reef squid (Sepioteuthis lessoniana) are nontheless also found mating at Shark Cave. Squid can change colour extremely fast to hide or to display emotion. Note the second squid, lower left.